Spring is a time of new beginnings and new love. 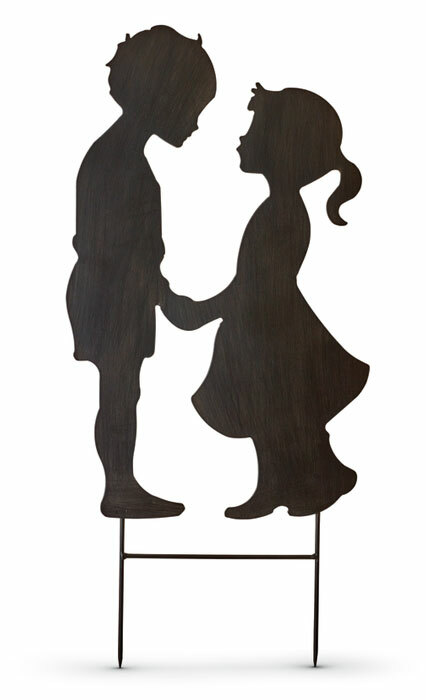 Our metal figure of a young boy and young girl add charm to the garden setting. 12”W x 20.5”H (above ground). Stakes: 4.5”H, 7.5” apart. Total height: 25”. Formerly $55, now 40% off. Discount may not be applied to prior purchases.